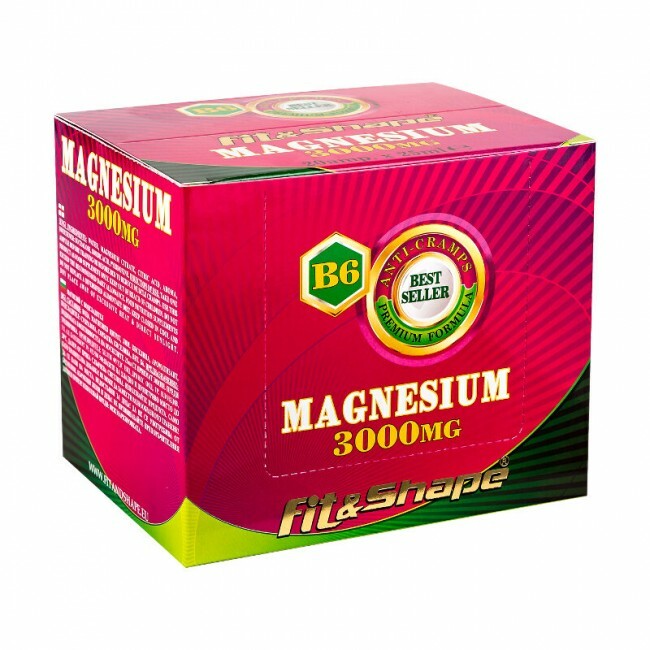 Great fast acting liquid formulation of Magnesium with Vitamin B6. The best selection of products to fight muscle cramps. Did you know that Magnesium is the fourth most abundant element on Earth after iron, oxygen and silicon - composing 13% of the total mass. In the human body, its role is equally important. Magnesium ions are vital to all cells in the body. Thanks to them are carried out the most important bio-poly-phosphate components - ATP (adenosine tri-phosphate), DNA and RNA. More than 300 enzymes require magnesium ions to function. Medically proven too high magnesium intake leads to laxative effect, but the taste is predominantly sour. Magnesium plays a very important role in the diet of every person. There are many cases of proven deficiency of magnesium in the diet, which he otstavie leads to the onset of asthma, diabetes and osteoporosis. On average one person contains about 24 grams of magnesium 60% in skeletal structure and 40% in the cells. Alcohol is a factor in sharply reducing the magnesium in the body. 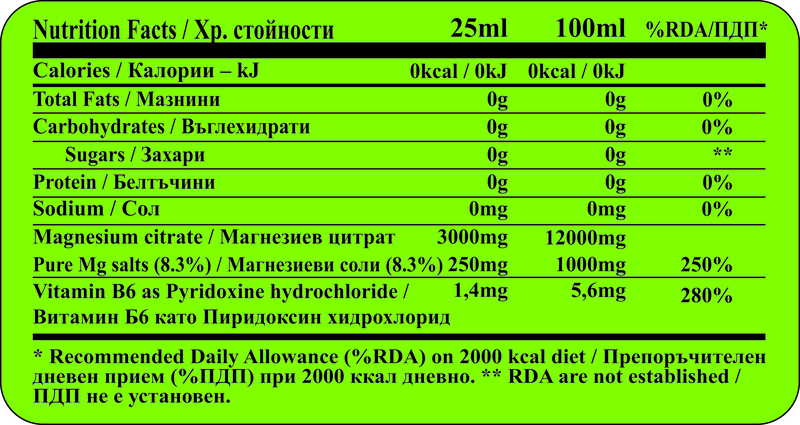 The risk of overdose is very small as it is filtered by kidneys very effective without burdening them. He nablyudva only in people with very difficult urination. The sport magnesium is an essential element. Thanks to it is absorbed more calcium, which is a key element for the proper contraction of skeletal muscles. It is also associated with the intracellular elements Potassium. Samostoyalno or in combination prevents the production of muscle cramps or cramps that are extremely unpleasant. Its combination with vitamin B6 is classical. Vitamin improves protein SINTES. While magnesium acts as a relaxing element muscles after a hard workout, B6 ensures rapid synthesis of proteins from food items through the bloodstream to penetrate muscle and recover faster. Restores tired muscles after exercise or heavy physical activity. Enhances protein synthesis in the body and prevents muscle cramps / For best results take one ampoule immediately after training or 1 ampoule evening before bedtime. Non-workout days take one vial a day, 15-20min. before eating. Water, magnesium citrate, acidity regulator: citric acid, flavorings, sweeteners: sucralose, preservative: sorbate acid, vitamin B6.